CrossFit will transform the way you think about fitness. It will do this by exposing you to functional movements. Functional movements in the gym are those that replicate movement in real life or sport. For example, nearly every day in life, you bend over and pick something up. CrossFit is an effective way to get fit. Anyone can do it. All the movements we do in CrossFit are universal in their ability to improve your performance. The workouts are structured so both beginners and experienced athletes can train safely and effectively. For a beginner we often reduce the total reps, weight, rounds or distance, or eliminate the clock. For more advanced athletes we also provide scaling up options. CrossFit’s definition of fitness, being functionally capable across a broad array of fitness related skills is of primary importance. These skills include strength, flexibility, endurance, stamina, speed, power, agility, balance, coordination and accuracy. Any athlete from any sport can use CrossFit as a training method, and return to their sport better, faster, and stronger. 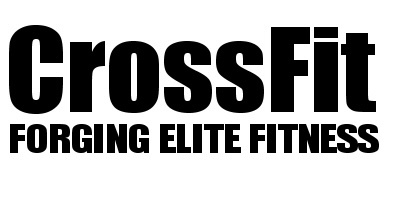 Our CrossFit session are highly varied and our programming is structured to help you to progress with your fitness. As you go along your journey you will be exposed to weaknesses and for a period of time you might want to bias your training to address those weaknesses. Or you might want to hone into a skill or specific movement that is going to make you even more awesome. ChalkFit: bias on Aerobic Capacity training through low skilled, low load movements. You can only train your Aerobic Capacity at an intensity at which the complete oxygen-transporting system (aerobic system) is activated to the maximum, while lactate accumulation in the muscles is not yet reached. But it is not only long slow workouts, expect high intensity training too. Barbell Club: in our CrossFit sessions we lift a lot and if you want to hone into Olympic Lifting technique, work on strength and mobility the same time then this is the place to be for you. But there’s more and we are introducing……. It is a clinic once a month on the schedule focused on a specific skill. This class is for everyone, you will learn more about the basics, drills and you will be provided with home work. In the month after you will recap the skill and progress to the next or spend bit more time on fine tuning it. We will check if there is enough interest in this class in the coming months. If not iwe will take it off the schedule, so make sure if you like to practise your skill book in! Getting your first pull up or muscle up means you need to work on specific strength which we do in our CrossFit sessions but not in every session. Therefore we have developed a focused program to work on your pulling and pushing strength and to help you tick the box on your goals list. We will start Thursday Feb 21st from 7-8pm. Places are limited book in via Go Team Up.